It's actually a find by a couple who wanted to merely just dig a place for their trash in Brgy. Sta Maria Itaas in Bauan Batangas. 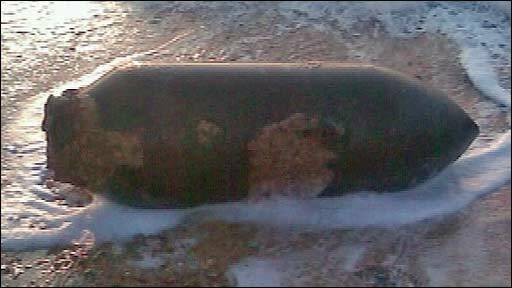 They only dug about 8 feet deep and discovered about a few, but never did in their dreams that their home was actually sitting on 150 bombs... 15 members of the local police and Regional bomb squad rushed to the scene and discovered 3 sacks more of black powder. Each bomb weighed about 20 kilos each and nobody confirmed if they were from the US or Japanese. As you may know, we were part of World War 2 history.All these items were brought to the Provincial Ammo Dam Office in Batangas for temporary storage then it will be send to Ternate, Cavite or Clark base in Pampanga for proper disposal. I bet you now want to dig your own backyard huh? O_O hahaha! Diosko. nakakatakot naman yan... ...kung may bomba pala sa ilalim nang bahay mo. Have you started digging yours?